Can I trust my measurement equipment? How much can I trust my measurement equipment? 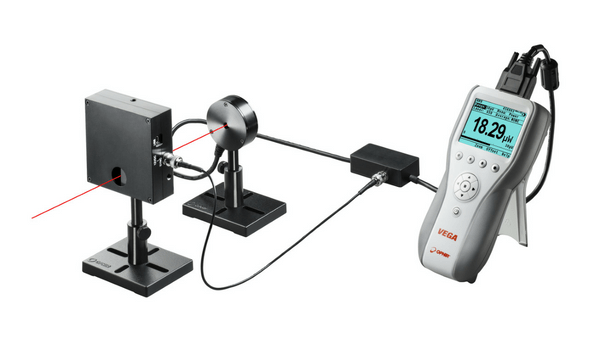 Accuracy of laser power meters, just like accuracy of any test and measurement equipment, is measured by stating an “uncertainty margin”. This represents the maximum discrepancy we allow between the measured value and the true laser power or energy. If the uncertainty is stated as ±3%, this means that the number on your laser power meter is within ±3% of the actual laser power. Ophir has very specific guidelines to track accuracy of all our devices and trace them back to a standards organization, such as NIST. But what if the stated error (e.g., ±3%) is not sufficient to satisfy your laser application? Certainly some laser applications need to be measured with a higher accuracy, such as scientific research, as well as some medical and aerospace applications. Each sensor has multiple sources of uncertainty (such as wavelength variation, power linearity, actual calibration, etc.) that together make up the overall sensor accuracy. How can this be improved? Dr. Ephraim Greenfield explains exactly how these sources of uncertainty break down, as well as how Ophir’s “Special Calibration” service can reduce the total uncertainty of your sensor. If you’re interested in reducing the uncertainty of your sensor, contact your local sales rep for more information. What’s Harder to Measure:A Short Pulsed Laser or a CW Laser? Why does measuring your laser beam help you maintain quality processes?